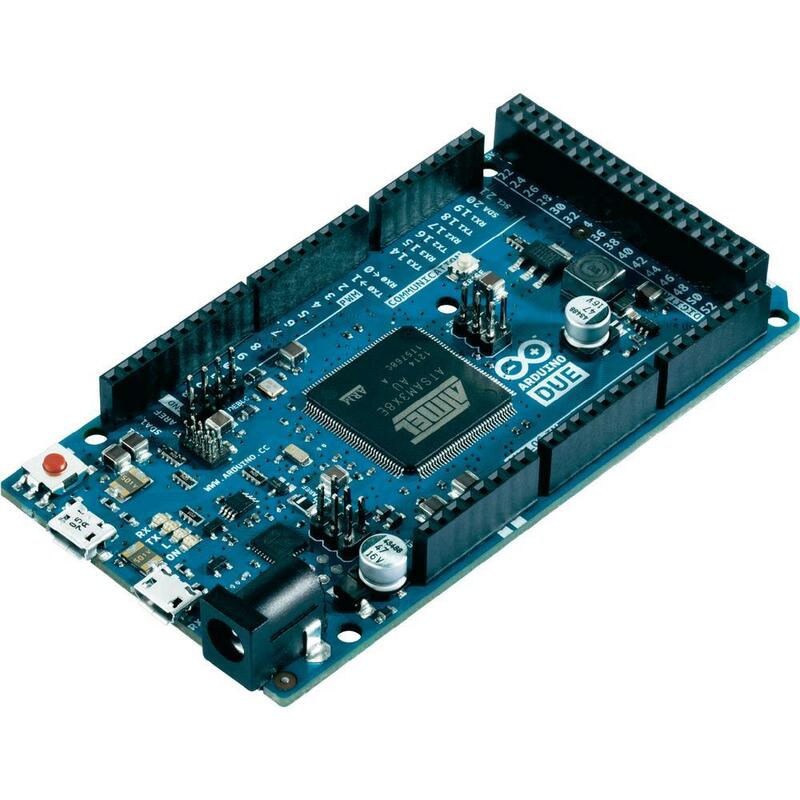 Arduino Due Microcontroller Board is based on the 32-bit processor Atmel SAM3X8E ARM Cortex-M3 MCU, and improves all the standard Arduino functionalities and adds many new features. 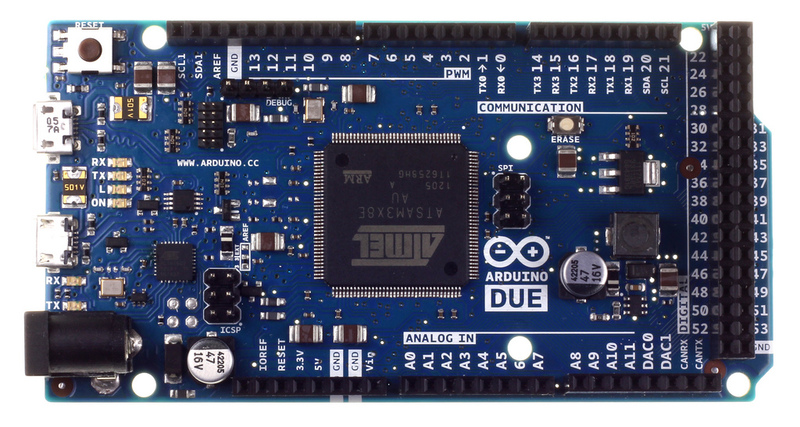 The Arduino Due offers 54 digital input/output pins (of which 12 can be used as PWM outputs, with selectable resolution), 12 analog inputs with 12 bits of resolution, 4 UARTs, two DAC outputs, an 84MHz crystal oscillator, two USB connections, 2 TWI, a power jack, an ICSP header, an SPI header, a JTAG header, and a reset button and erase button. The maximum voltage that the I/O pins can provide or tolerate is 3.3V. The board has two micro USB connectors--one for debugging purposes and a second one capable of acting as a USB host, allowing external USB peripherals such as mouse, keyboards, smartphones, etc. 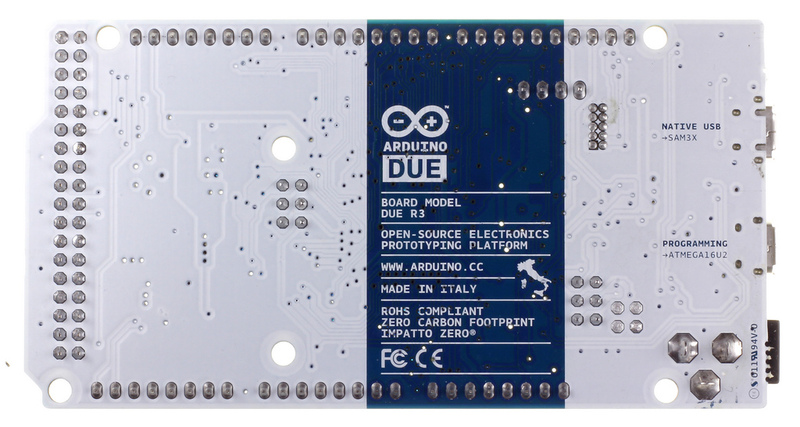 to be connected to the Arduino Due.